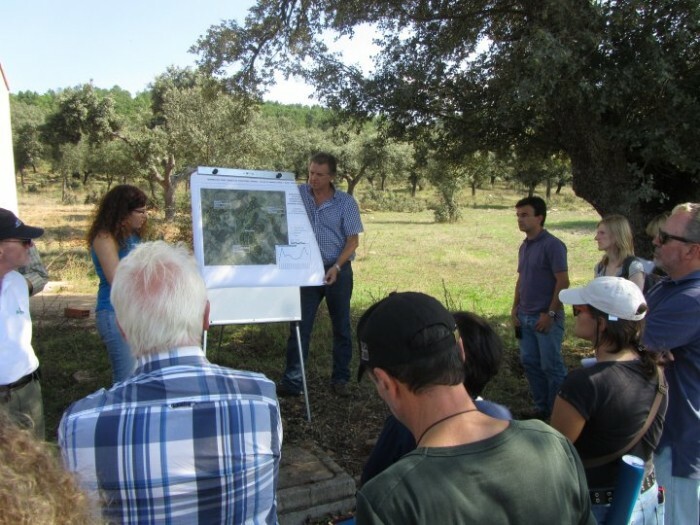 The presence of pine wood nematode in trees does not necessarily provide obvious external symptoms in the trees and so both symptomatic and asymptomatic trees have to be included in diagnostics. The Survey Methodology Module places emphasis on trees showing symptoms of the disease using a risk-based strategy especially in areas where no previous PWN has been found. Symptom assessment on conifer hosts is normally visual to aid ground-based or aerial surveys but the symptoms themselves are not necessarily caused directly by PWN, but any tree that has obvious signs of wilt - reddening of needles and loss of resin pressure - should be assessed for presence of PWN and Monochamus breeding activity. Since each species of Monochamus uses a specific part of a host tree for breeding, sampling for PWN should concentrate on those parts of the tree likely to be used by the local species of Monochamus. Currently, only areas in the Iberian Peninsula occupied by M. galloprovincialis have confirmed PWN infestations and surveys in this region should concentrate on the thin-barked trunk and thicker branches in the tops of trees where the vector breeds. 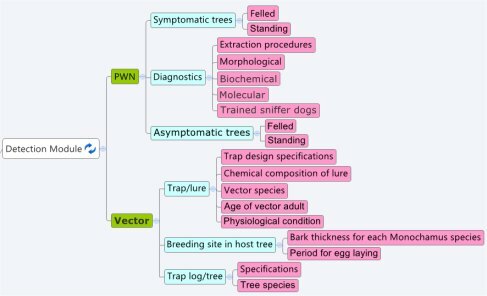 In the saprophytic part of the PWN cycle on host trees, PWN is most likely to be associated with the immediate surroundings of the larval and pupal sites within the wood and, then, with the emerging adult beetles (see The PWN Problem Module). However, when trees have been killed by PWN then a more systemic distribution of nematodes can be expected and sampling in any part of the trunk may yield nematodes. Website development: Technoleg Taliesin Cyf. Design and hosting: mach2media ltd.